We offer Shrink Wrapping Machine. They are sourced from authorized dealers. They are made using superior raw materials. 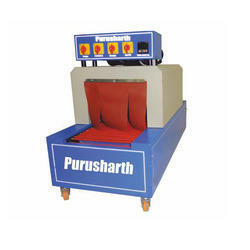 These machines are customized as per the clients need. They are available in a variety of sizes and can withstand corrosion. We manufacture shrink wrapping machines that are used widely for wrapping packaging materials like PVC, LD, HDPE shrinkable films. 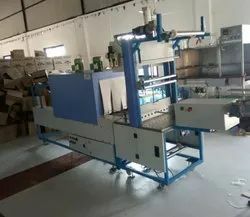 We offer varied range of automatic shrink wrapping machines to hold collation of products such as cartons, jars, bottles etc together using a strong film or with a cardboard tray whilst in transit. Shrink wrapping plays an important role to offer your brand a presentable look and longer shelf space.